The Cresco Area Chamber of Commerce has the pleasure to host many events and programs in the Cresco community. Some of these events are held as fundraisers or community work days and always as networking opportunities for Chamber members, while other events are celebrations that attract tourists and give our residents a reason to celebrate something special. The Chamber also partners with many non-profit organizations for other special events not listed here. 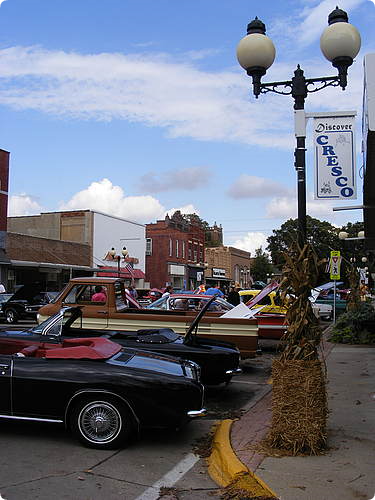 The NBHF is held on the 3rd weekend in September in downtown Cresco. It includes so many fun activities we can't possibly list them all but they include kid's games, live music, parade, flea market, farmer's market, Cruise to Cresco Car Show, Quilt Auction, Bean Bag Tourney, Little Miss Cresco Contest, 5K/CROP Walk, Food and Fun. The fest is named in honor of Dr. Norman Borlaug, who grew up on a farm southwest of Cresco and graduated from Cresco High School. He then went on to save millions of lives from starvation and is considered one of world's most important humanitarians. He is one of only 6 people in the world to win the Nobel Prize, the Presidential Medal of Freedom and the Congressional Gold Medal. Dr. Borlaug was honored by the State of Iowa in March of 2014 as they placed a statue of him in Statuary Hall at the US Capitol in Washington D.C.
As a way to further honor Dr. Borlaug's legacy, in 2014 the Norman Borlaug Harvest Fest hosted their first large scale food packaging event where hundreds of volunteers made over 130,000 meals that went towards local Northeast Iowa food banks along with worldwide aide. This scholarship is given annually to a Crestwood High School senior who has the goal of returning to the Cresco area after college and use their degree to benefit our community. Mixers are a fun way to interact with other businesses and have a team building experience. The event is a fundraiser to help promote our membership programs and a great networking opportunity. This annual parade is part of a long standing tradition in Cresco and one of the first and original Holiday parades in northeast Iowa. The parade started in 1982 and continues to be the ceremonial kickoff to the Holiday season. It is always held on the Friday after Thanksgiving in downtown Cresco. With the help of many volunteers, sponsorships and grants we decorate our Courthouse square every Christmas season. 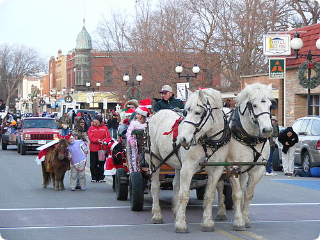 Part of a long standing tradition, it draws families from many miles to take in the Christmas festivities in Cresco and helps promote our historic downtown. The Chamber also applies for grants through a variety of tourism and community foundation grants to help fund these events. If your company has grant programs available please share that information with us so that we may apply. Our annual golf outing is held each year at the picture perfect Cresco Country Club. It is open to any Chamber member and their guests and is a great fundraiser that helps pay for our membership programs. By sponsoring a hole you get a chance to get your message out to a collective audience. You can even have a company representative at the hole if you wish. Get a team together and come out and enjoy the beautiful outdoors, do some networking and have a lot of fun along the way. This annual event is held on the 1st Sunday in August and continues to be extremely popular with every age. 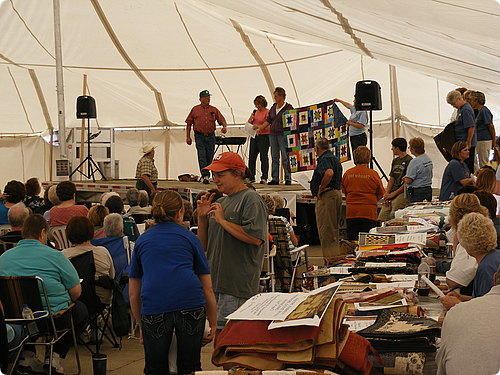 It partners with the Cresco Area Fine Arts Show to bring a fun filled day for residents & tourists alike. The day typically includes airplanes and pilots from all over the tri-state area, airplane rides, displays and some delicious breakfast served up by you local business people.